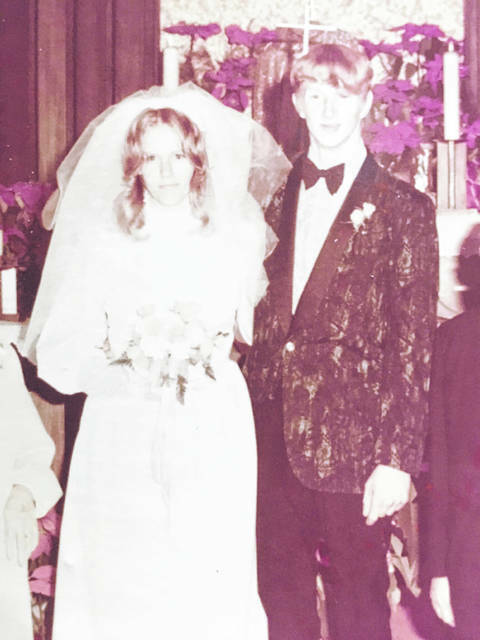 Jack and Karen (Shoemaker) Leonard of Urbana will celebrate their 45th anniversary on Jan. 19. They were married on that date in 1974. They have two daughters: Miranda Uhl (Randi) and son-in-law David Uhl of Urbana; and Jodi Hunter and son-in-law Tariq Hunter of Urbana. They have five grandchildren. Mr. Leonard is employed by Reiter Dairy, Springfield, and Mrs. Leonard is employed by First Central National Bank, St. Paris.